Simply Tasmay | All about the simple things in life. 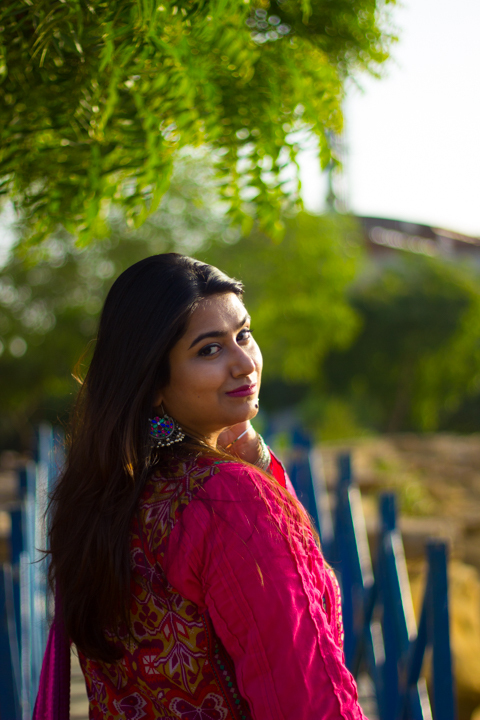 This is a guest post by Sobia Sayed who recently travelled to Islamabad from Karachi via the Green Line Train and had an awesome experience. She's been generous enough to share titbits about the train journey with you guys! Seychelles' luxury accommodation, 4 private beaches, a golf cart to go about and more. Join me in a light chit-chat with Zairah Maher - the artist behind the beautiful home furnishing and linen company called Pomegranate Linen. For this month's feature, I interviewed Sobia of Doodlebug for her mindblowingly aesthetic craft. Read on and discover her work! The story of how I terribly wanted an iznik inspired corner table and my efforts to have it. I’m writing this with fear of it backfiring. But I’m still going to talk about it and hope that when I wake up tomorrow my feed isn’t filled with anday and tamatar. So...there was once a time when women were each other’s enemy, pulling each other down, not letting each other flourish, whether it was at work or at home. Alhamdolilah and MashAllah the conversation around this is now changing. Women support groups are popping up on the internet, there are women who are voluntarily offering to help other women out with a skill, or with personal issues, advice etc. Women are not anymore devoid of a voice, or access to mentoring, to guidance — basically it’s all GOOD scene 👍🏽 In all of this, I feel, on some parts there’s one thing still missing. And that is the ability to coexist with the opposite gender. The harmony between the two genders. We’re still not able to work together, we still get offended by each other. Eg. Taking offence to someone’s “Hey, hun/dear/gorgeous! How you doing?” just cause he added something extra to the greeting. Or when a woman smiles and greets a man because of basic manners and his guy friends start hinting that she might have a thing for him. This is toxic and this needs to stop. The thing is, yaa tou ap decide kar len ke intermingling of the genders is not for you. (I’m trying very hard to put forth this point without bringing religion in between). Yaa phir aap tameez ke dairay mein reh kar aik dusray se paish ayein. Be kind to each other and not consider the person’s ulterior motives with everything they say. Why I’m stressing upon this harmony is because it hurts me when I see both genders fighting a fuzool ki jang with each other. I’ve had female friends and then I’ve had male friends too, and the way the two approach the same problem is worth learning from. Most issues arise because either one doesn’t know how to communicate with the other. Sath kaam karein, sath baat karein, but make “respect” the first building block of any human interaction. In an ideal world, men and women support each other and not point fingers. In an ideal world, men and women respect each other for their varying personalities and abilities. Peace. Feeling down and depressed cause we head back to Dubai tomorrow. I literally do not want to speak to anyone right now but writing your heart out is acceptable, I guess. What’s funny is, I landed in Toronto with such high hopes and the cold welcomed me with such a shock. I couldn’t fathom what just happened and spent a few days navigating my way through expectations vs reality kind of scenarios. At one point I even weighed my options and questioned if it would be really worth moving to this icy wonderland. And now that it’s time to leave, I’m finding it hard to get my head out of this city. Whether it was finding my way around downtown’s galiyaan with 5% battery remaining on my phone, riding the street car and subway at rush hour (ghalti se) and being bumper to bumper stuck with other locals, getting anday double roti (you know that’s my favourite thing to do anywhere! ), walking back home with frozen limbs — at the end of it, I embraced it. Insaan bhi ajeeb shay hai. We gel in so well with our surroundings to the point that we fall in love with a place or a feeling and when it’s time to let go, you cannot accept that reality either. Dear potential future home and current love affair, I have my eyes on you and I’d InshAllah return soon 🇨🇦 Oh, and I plan to spam you all with the trip photos jab tak camera roll khali nahi hojata! Insanely easy, super healthy and nutritious sabzi dish of all times! Some ways sugar is good for us. Derived from Rujuta Diwekar's book: Indian Superfoods.